Lake Altus-Lugert is at the foot of Quartz Mountain in southwest Oklahoma. 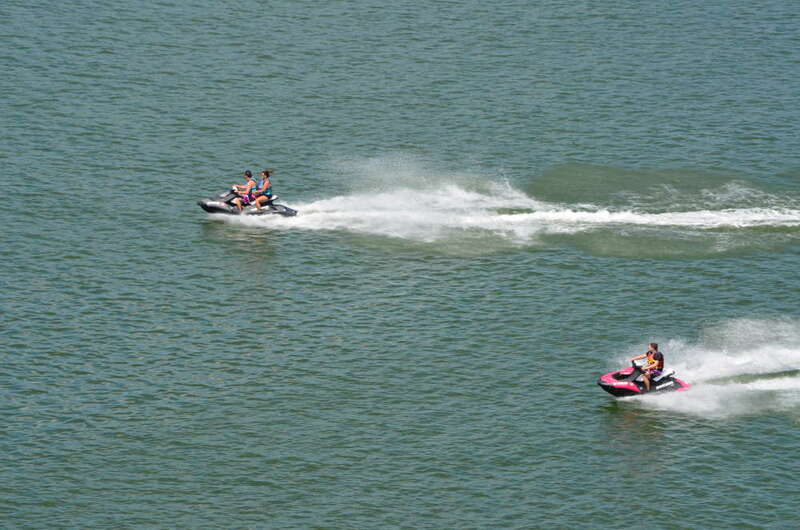 Boating, skiing (water and jet) and swimming are top activities on the 6,500 acres of water. Hikers and climbers like the challenge of the craggy granite mountain. Nature lovers explore the shoreline on the north end of the lake, where, in the spring, the salt cedar shrubs attract a phenomenal array of birds and butterflies—the birds for nesting in the shrubs, the butterflies for the plentiful nectar. If you have more “exotic” interests, venture to Rattlesnake Cove in the morning to look for diamondback rattlesnakes. You may have heard that the lake is completely depleted of fish. That was true at one time. In 2013 and 2015, toxic blooms of golden algae killed off the fish populations. Be assured that the lake has now recovered and is stocked with shad, sunfish, channel catfish, walleye and crappie. Lake Altus-Lugert is one of the most beautiful lake is Oklahoma. If you are looking to get outdoors and experience this lake, one great way to do so is by renting a cabin.